A rustic weathered driftwood finish pairs well with the contemporary lines of this nightstand. It features solid wood framing and tapered feet for added appeal. The Asheville Rustic Contemporary Nightstand at Miskelly Furniture in the Jackson, Pearl, Madison, Ridgeland, Flowood Mississippi area. Product availability may vary. Contact us for the most current availability on this product. Contemporary style for your bedroom with a rustic flair, the pieces available from this bedroom collection will take the look of your decor to new heights. 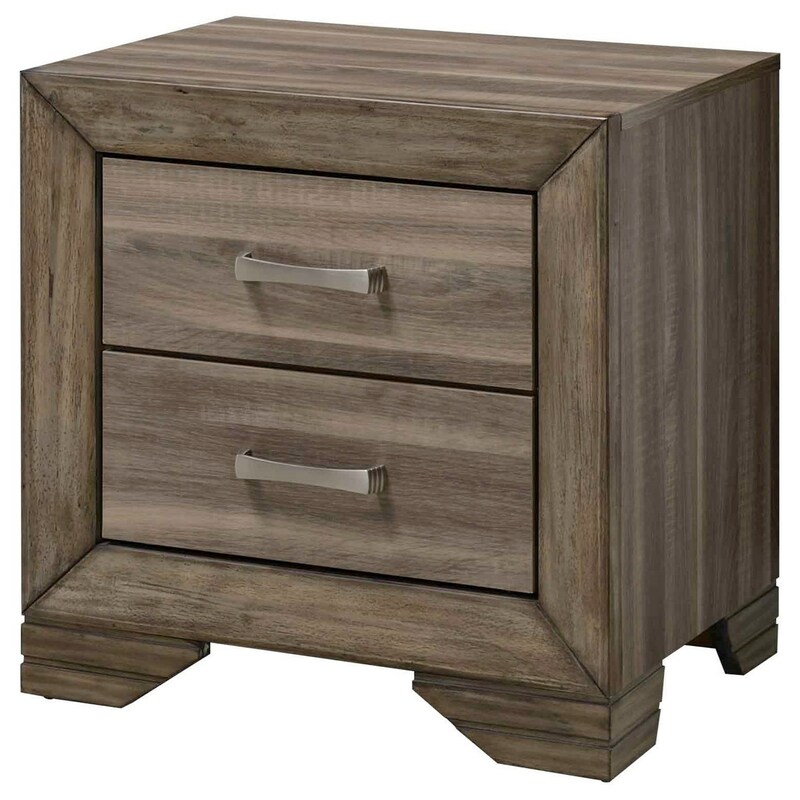 The Asheville collection is a great option if you are looking for Rustic Contemporary furniture in the Jackson, Pearl, Madison, Ridgeland, Flowood Mississippi area. Browse other items in the Asheville collection from Miskelly Furniture in the Jackson, Pearl, Madison, Ridgeland, Flowood Mississippi area.